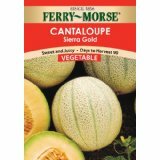 Muskmelon, honeydew, Crenshaw, casaba, cantaloup, Persian melon Christmas melon, and Armenian cucumber (not really a cucumber) are all varieties or cultivars of Cucumis melo and can cross with each but NOT with cucumbers or squash. Watermelon is not related to any of the varieties or cultivars of Cucumis melo, is a different genus and species (Citrullus lanatus), and does not cross with them. If different varieties or cultivars of melon are grown together keep them separated by at least 200 feet to keep the stain pure if the seed will be collected for future planting.Melons are a warm weather crop, need 75 to 90 days to maturity, and resent transplanting. Direct sowing is recommended but in cold areas the growing season may be too short to harvest a crop and starting indoors may be necessary. 1. Sow seeds after the last frost when the soil is warm and day time temperatures are between 75 and 95 F. Plant six to eight seeds per hill spacing hills four to six feet apart. 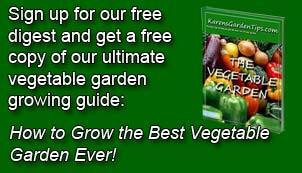 Alternatively, plant seeds three to four inches apart in rows. Cover with ½ inch soil. 2. Use black plastic mulch to retain heat and moisture. Seeds are sensitive to changes in temperature and may germinate unevenly; five to seven days under optimum conditions. 3. Thin to four or five plants a hill, or twenty four to thirty six inches between plants rows. Snip or cut unwanted seedlings rather than pulling to avoid damaging the roots of nearby plants. 1. Three or four weeks before the last frost presprout seeds by laying them in damp paper towels, rolling up the towels, sealing them in plastic bags, and putting them in a warm place (70-80 F). Seeds should sprout in two to four days. 2. When the seeds have sprouted plant in peat pots, 1 or 2 plants per pot. 3. Transplant outdoors after the last frost planting four to five plants in hills four to six feet apart or spacing plants twenty four to thirty six in rows. Transplant only the best plant in each pot, cutting or snipping the weaker ones. 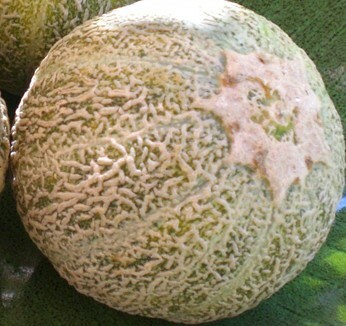 To buy melon seeds from Amazon.com click here.